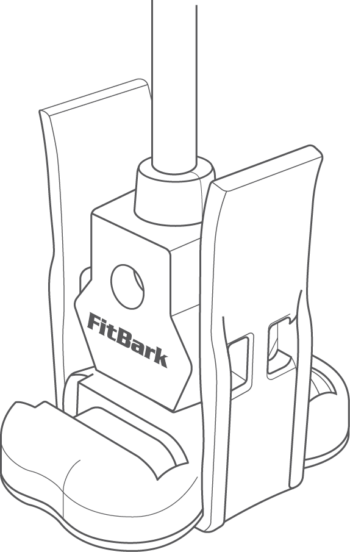 Connect your FitBark to any computer’s USB 1.x/2.x port or a Class 2/Limited Power Supply with a USB output. There is no need to remove the device from the collar. Clamp the charging cable to the FitBark as in the figure. When you power it, your FitBark will go in pairing mode (LED flashing rapidly) for about 30 seconds, then the LED will blink every 10 seconds to indicate that the battery is charging. If your battery was depleted, the LED will turn solid after about 90 minutes to indicate that the battery is now completely charged.